This is Marcos Vinicius. 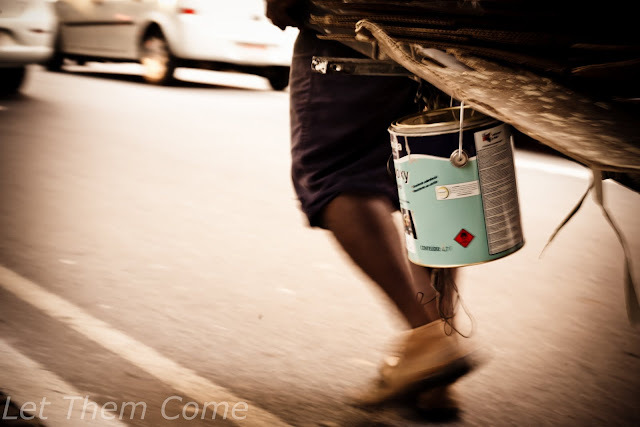 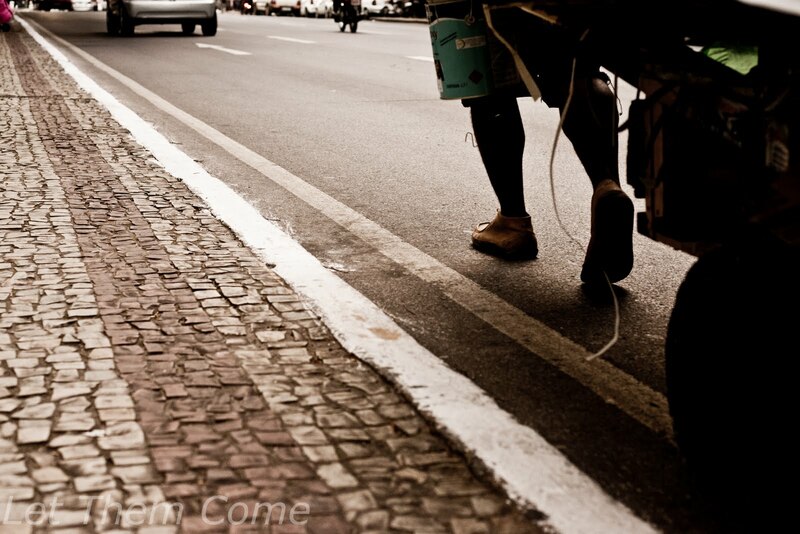 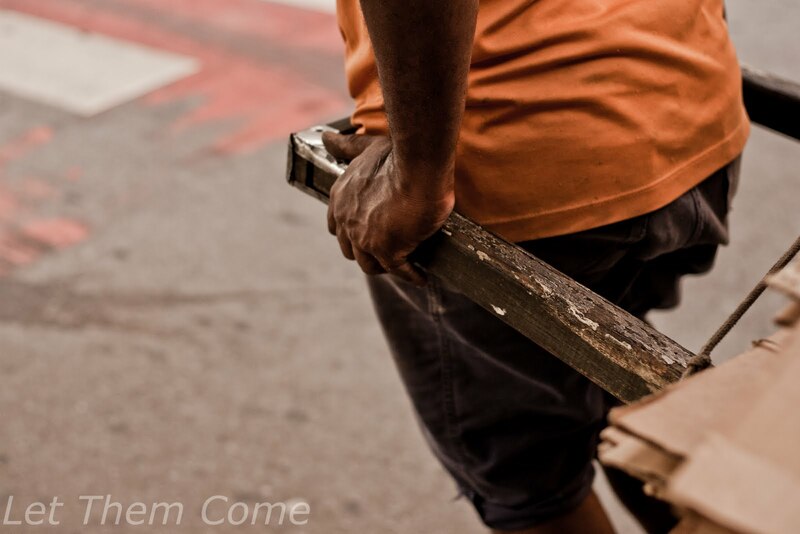 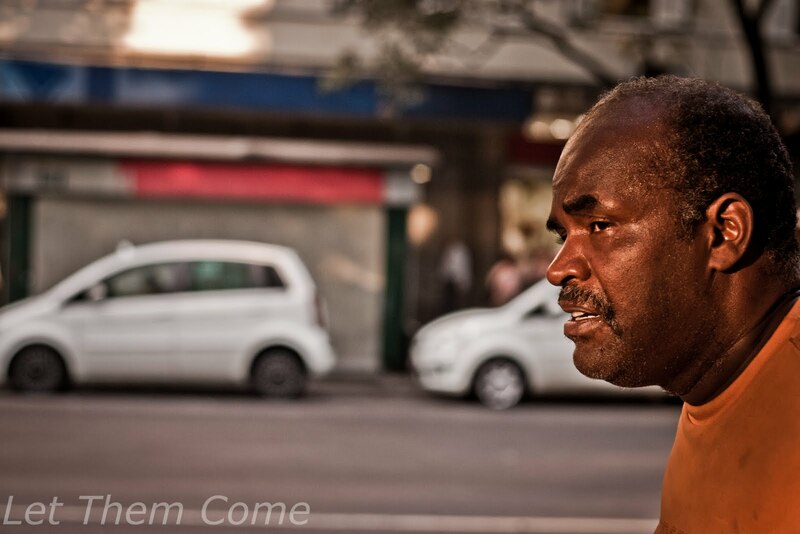 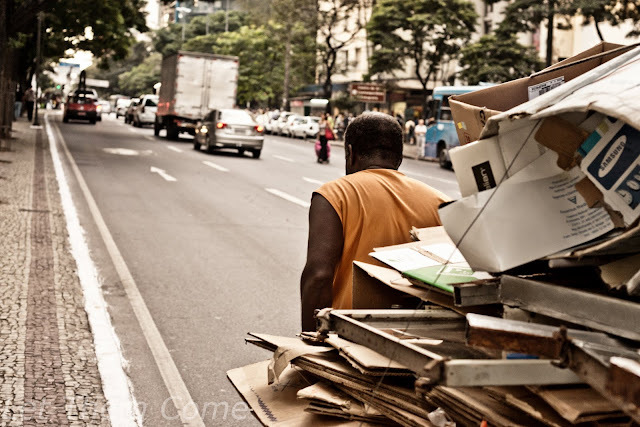 I met him one day in downtown Belo Horizonte, as he was hauling around his wooden cart full of cardboard and recyclable materials. 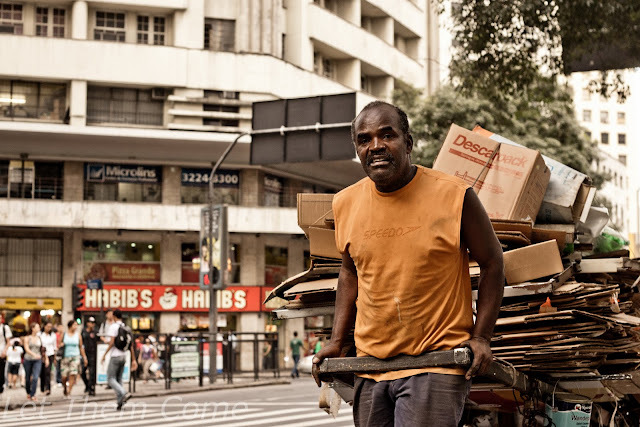 More than 800 thousand Brazilians work collecting cardboard and various recyclable items from the streets just like Marcos Vinicius. 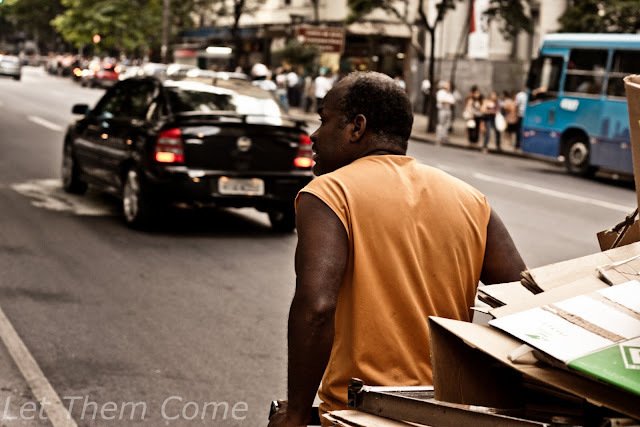 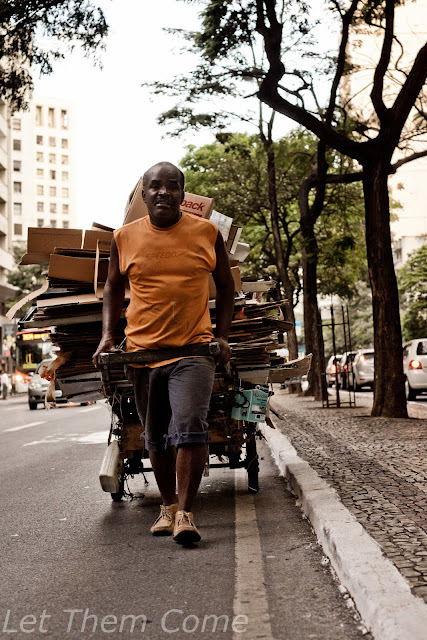 Here in Brazil, it is very common to see men and woman walking the streets with carts in tow, in search of recycable items. 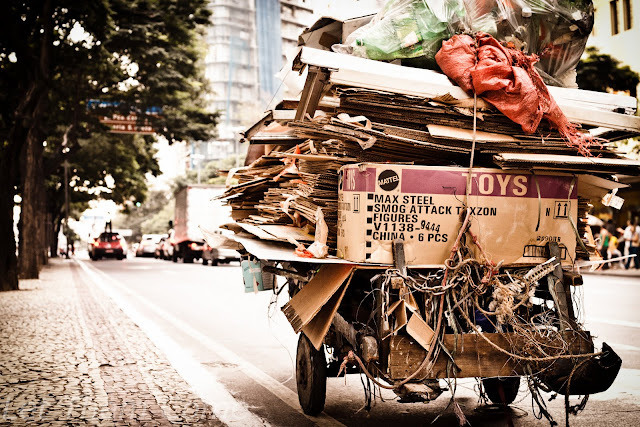 "I have worked liked this for more than 25 years," said this 65 year old man, as he was pulling his old, heavy cart through a busy street full of cars. 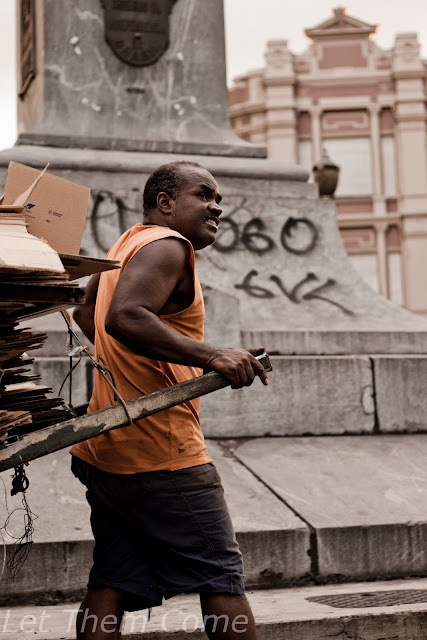 Marcos Vinicius was named after a famous Brazilian musician named Vinicius de Moraes He is a part of an association of more than 3,000 paper and cardboard collectors, who work in the metropolitan area of Belo Horizonte. Everyday Marcos Viniciua walks through city collecting cardboard and other types of recyclable material. At the end of the day he takes everything that he has collected and deposits it at a recycling center. 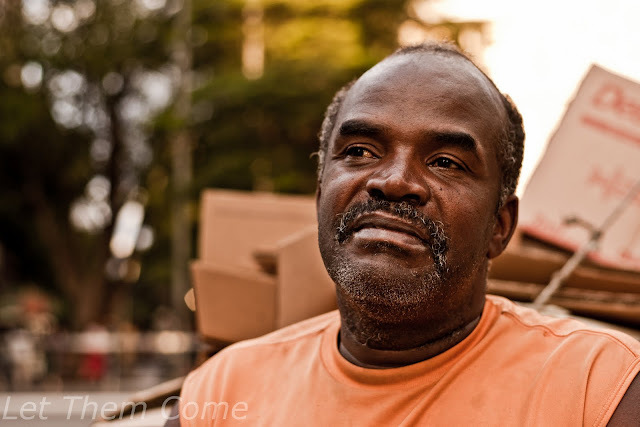 He is paid a salary of $540 Brazilian Reais (or $343 USD) per month. Unfortunately, this salary does not compare with the great importance of Marcos Vinicius' work of caring for the environment. 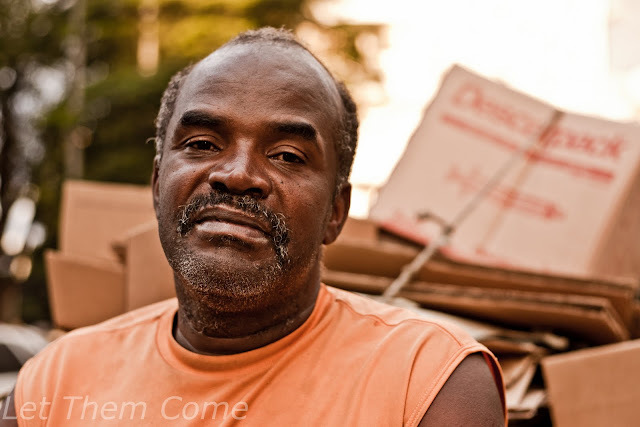 he is an example of a hard working man who earns an honest living with diginity.